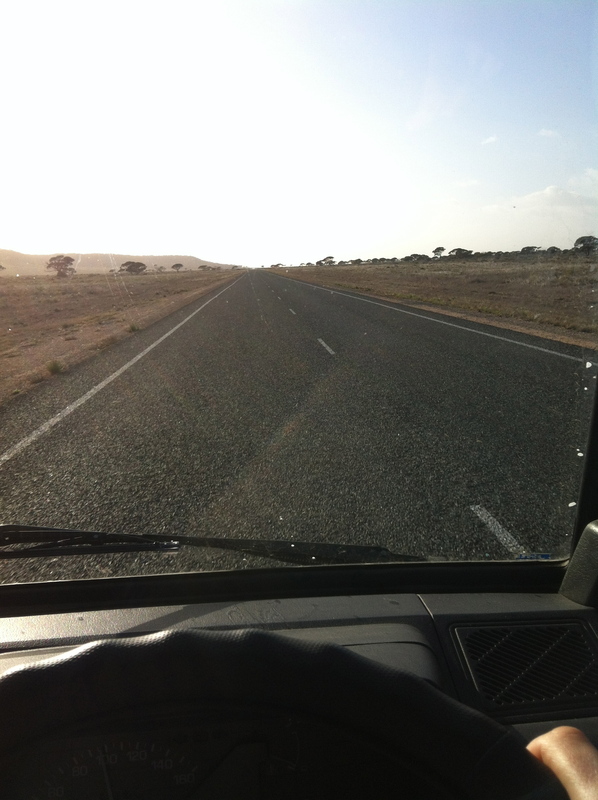 To be honest, I was pretty apprehensive of tackling “the Nullarbor”. It has such a legendary status. But having conquered most of it (I’m writing from Nundroo, less than 200kms from Ceduna) I’m wondering what I was worried about! The drive I did from Darwin to Geraldton in 2006 is probably more dangerous and of more concern – less traffic, greater distance between points of civilisation, wilder country, and cattle. But I guess at that time I was in a funny state of mind – I hadn’t planned to do the trip alone but experienced a change of circumstances that was out of my control and doggedly decided to go ahead with it anyway. So I just got on with it. This time? I’ve been talking about this drive for nearly 2 years! That’s plenty of time to build a certain level of anxiety. But all unfounded as it happens. 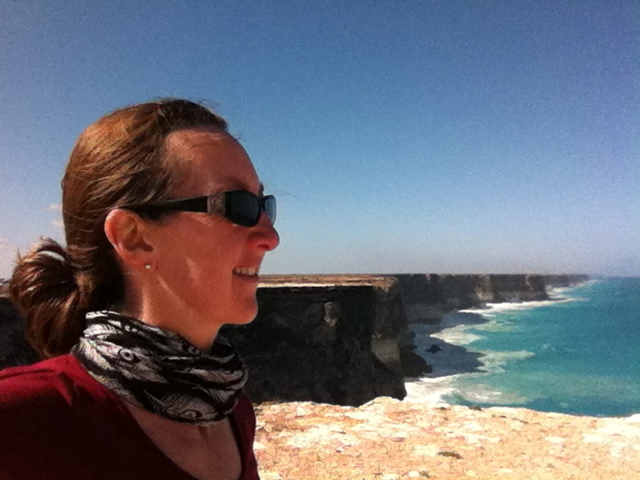 The Bight – not so much because it was the Great Australian Bight particularly, but because I realised it was the first time in two weeks that I’ve seen the sea! It was a happy reunion. 🙂 And I’m looking forward to sticking nearby it as I head around the Eyre Peninsula over the next few days. Happy truck drivers – I’ve been waving at pretty much every vehicle I pass going the other way. Many wave back – best strike rate with other van drivers and those towing caravans. I wasn’t sure if truck drivers would – and indeed the first morning I decided they were a grumpy lot. Later in the afternoon tho, when their cabs were lit up by the sun, I realised that quite a few were actually waving back! Good for them. It must get a bit tiresome but some clearly still have their sense of humour intact. I also like the little indicator dance some of them do when they’ve passed me and appreciate that I’ve pulled over to the left as much as possible and slowed down as they pass. At least I think that’s what it means! 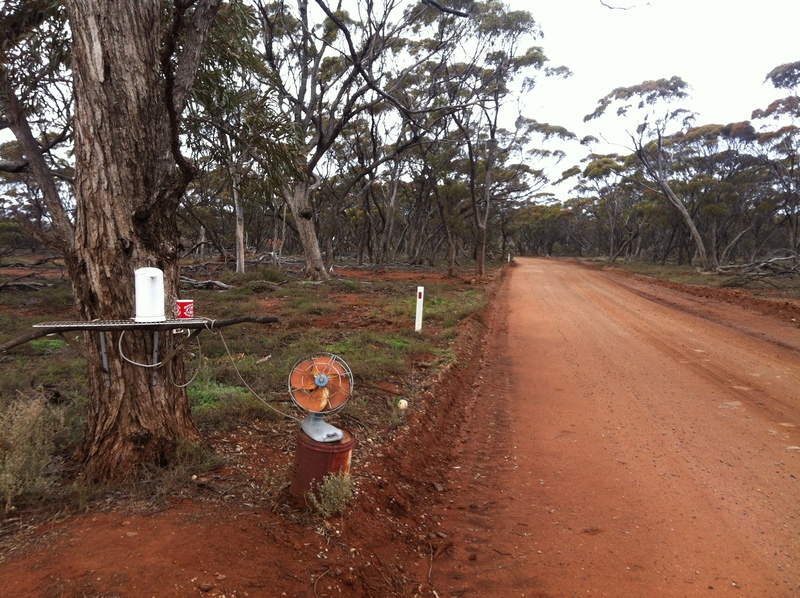 This entry was posted in Uncategorized and tagged Eyre Highway, Fraser Range Station, Nullarbor. Bookmark the permalink.